A World Orphans team is currently in Ethiopia visiting our partner churches and children's homes there. For updates and trip reflections, stay tuned to the WO blog. Yesterday I had the joy of attending the International Evangelical Church in Addis Ababa Ethiopia. It was incredible to look around the room and realize we were joined together in worshipping God with believers from every continent – over 61 different countries – while not EVERY nation and tribe and tongue was represented, it brought to mind how beautiful and wonderful it will be one day. It was amazing to me that in this city of millions of people, some 10,000 miles from my home, I would “happen” to run into 6 different people, including 3 Americans, that I have met in various different places in the past 2 years. It made me think of the multitude of people I will one day be reunited with for eternity together. After traveling to Africa with World Orphans this summer, Alisha Bowker said she will be changed forever. "There are a number of stories I could share, each that had an impact on our team and myself, but a specific day will easily stay with me for the rest of my life," she said. During the 11-day trip, the group visited children's homes in both Ethiopia and Kenya, but the day that deeply affected Alisha was when the group walked the streets of the the Mathare Slums in Kenya. "Being my first trip I did not really know what to expect, aside from the simple fact that this is one of the largest slums in Kenya-home to well over 500,000 people. As we began our journey deep into the slums I was met with speechlessness," Alisha wrote after the trip. "I cannot even begin to describe to you the horrific conditions these individuals are living in." Alisha described the living conditions for men, women and especially children as "a place so dirty, crowded, unsanitary, chaotic and forgotten that no human should ever have to call that home and yet hundreds of thousands do." While visiting the slum, the group met with four families. "I had the privilege to sit in peoples homes and listen to them tell their stories, I witnessed families being torn apart by disease and realized how important good health is to the survival of a family in the slums. I heard a woman tell of her difficult decision each month to choose between paying rent to keep a roof over her family's head, or paying the school fees in order to invest in her children’s futures," wrote Alisha. "As we walked to each new home the local children would run up chanting their hellos and hoping for a smile, a photo or simply a touch. It took all that I had to not break down into tears; there was such innocence in the simplicity of their requests." But in the midst of the devastation, Alisha still saw hope. Through World Orphans, the local church is able minister to families in the slums by helping them care for the children they have. And many children in the Fountain of Life children's home in Nairobi, Kenya are rescued directly from the slums. Other programs, like vocational training, give teenagers and adults the opportunity to rise out of their circumstances and care for their families. "We then headed back to the church and had the opportunity to speak to a group of teenage mothers who are part of a new ministry the church is starting. The women will be learning skills in jewelry making and sewing, with the intent to sell their products to gain financial support and stability," Alisha wrote. "I was made aware that for many of these women this new ministry is their second chance…Their moment to get back on their feet despite past mistakes that left them in such a low and forgotten places." The vocational training program in Nairobi and the Fountain of Life children's home are only two outreach projects out of hundreds around the globe that World Orphans has made possible. 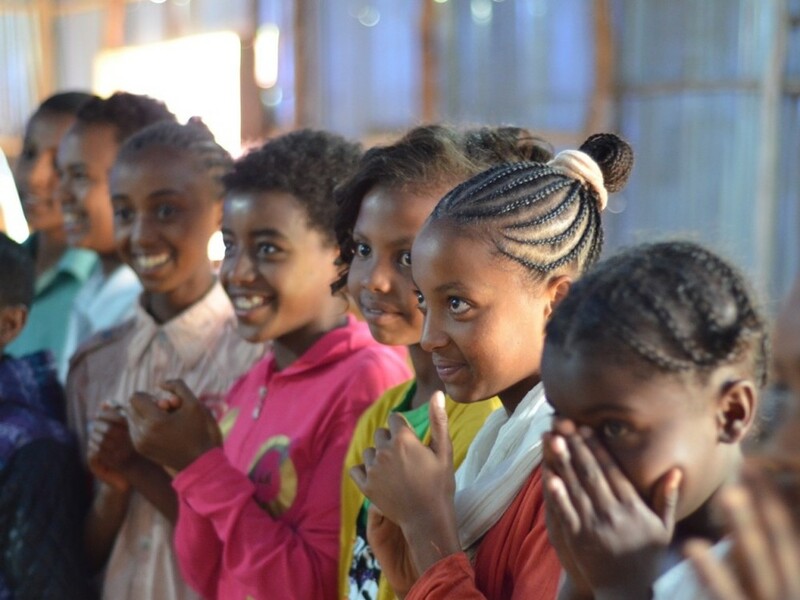 After visiting a World Orphans church partner in Woliso, Ethiopia West Coast Regional Director Mark Gumm reported on the church's recent activity. "The church sent out a small team of 5-6 people to do evangelism in the area outside town and had 36 people accept Christ in 2 weeks!," Gumm wrote. "They then worked to get the government to give land to the church and then took up an offering from the main church to provide materials for the building you see in the video (shown below). Really cool story – God continues to work through the church in Woliso," he said in an e-mail. Since the people of Woliso and the surrounding area are predominantly Muslim, starting just one church seemed difficult and church planting nearly impossible. But the Woliso church continues to grow despite the cultural obstacles. "Got the story on a short video, which doesn’t really do justice to the miracle of the church plant in this predominantly Muslim community," Gumm wrote. "We are blessed to have a partner like this and to see such a great work God is doing in and through them. We also visited 2 other church plants they’ve started – 1 of them is now totally self-sufficient and separate church." I often hear a phrase that goes something like this “Church is not a building – its a body of believers”. While I certainly believe most pastors and Christians believe this theologically, I often wonder if we REALLY believe this at our core, or if its just a cliche’ we use. Would we choose to go to church if it wasn’t comfortable and convenient? If we had to walk several miles to get there and there was no praise band playing our favorite christian music, no video screens, no air conditioning, no comfortable seats? Would we show up to these churches walking through and standing in several inches of water in the middle of a field, with no chairs to sit in and listen to our pastor preach and sing praises to God with just our voices for 2+ hours? Let us continue to strive to be a faithful church that displays good deeds and is dependent on God to provide as we use our resources to help meet the needs of those who are really in need like the early church did. Let us not be a lukewarm church that is rich and not in need of a thing. To read more about Mark, click here to visit his blog. As World Orphans strives to meet the needs of orphaned and abandoned children around the globe, our primary goal is to provide family-based orphan care. Whether that is in a World Orphans home or with a neighbor who took responsibility for an abandoned child, World Orphans wants to help these caretakers through the indigenous church. "Many children orphaned around the world have been taken in by extended families, friends and neighbors. Orphans are being cared for in families! Unfortunately, many of these families are barely making it and the children are highly vulnerable as a result," said WO Vice President Scott Vair on his blog, aheartfororphans. So World Orphans along with local churches world-wide are taking a step toward helping these families. "The challenge before us is to support these families as they care for orphans, preventing them from being abandoned or dropped off at orphanages as resources continue to be stretched thin and families struggle to make ends meet. We call this Home Based Care," Vair said. The initiative for Home Based Care started earlier this week in Ethiopia as East Africa representative Lameck offered training for pastors. The training will continue through the next few days and Lameck asked for prayer as he introduces this valuable concept and tool to Africa.